Find out what time your favorite SEC team plays on television with our handy SEC Football TV schedule. Get all game times and the TV channel the game is on. Find all the information you need to watch SEC football games live online. Find SEC football games on ESPN, ESPN2, ESPNU, CBS, SEC Network, SEC Network Alternate, ABC, FOX Sports, CSS and pay per view. Our listings of SEC football games are manually curated from our network sources and displayed below for easy viewing. 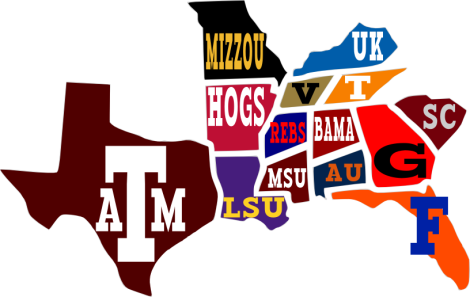 Get the game time and channel that your favorite SEC football team is playing on today.